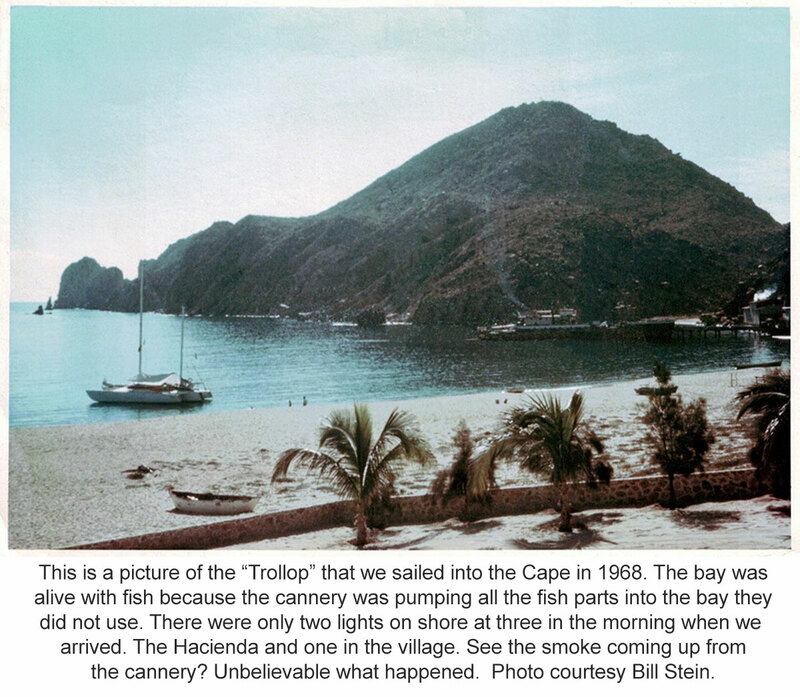 This is a picture of the “Trollop” that we sailed into the Cape in 1968. The bay was alive with fish because the cannery was pumping all the fish parts into the bay they did not use. There were only two lights on shore at three in the morning when we arrived. 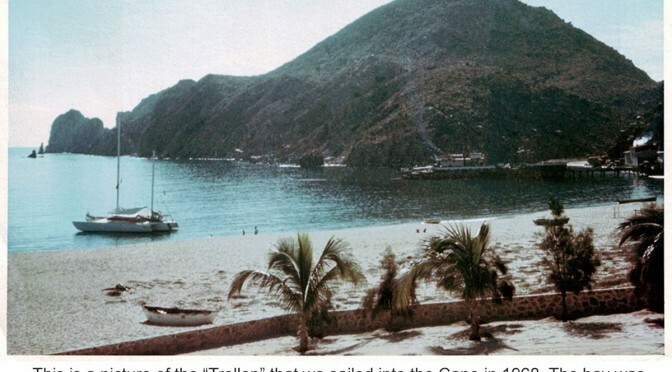 The Hacienda and one in the village. See the smoke coming up from the cannery? Unbelievable what happened. Photo courtesy Bill Stein.